Frances Helen Graham Herndon, daughter of Herschel Franklin 'Frank' Graham and Elsie Allien Collins and married to Jack Stanley Herndon. Cremation was chosen. 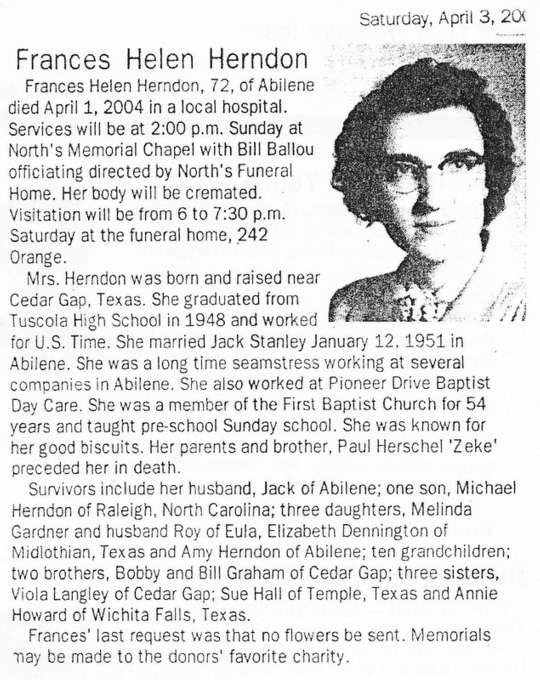 Click here to see Frances Helen's last Profile entry.